At K Yousefy, we pride our selves in customer satisfaction. We realize that the key to customer satisfaction is communicating with or clients throughout the complete project. 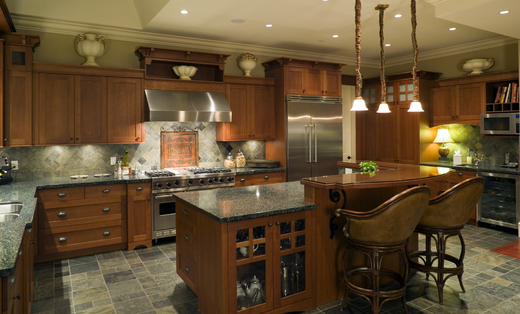 Our process begins with understanding each client?s vision at the design and budgeting stage where we will present a three-dimensional rendering of your dream kitchen and a written itemized proposal. Through scheduling the complete remodel project in writing, we also will provide a home owner friendly multi staged payment program with in the schedule which will ensure completion of stages of work prior to payment. We always leave a substantial last payment to give you ease of mind that your project will be completed in a timely manner. We can customize your project to meet any budge, with custom-made cabinets from our facilities with top quality material, or pre-manufactured cabinets and counter tops for the budget conscious. That why 75% of our work is through referrals.